Has your roof started leaking or showing signs that it may need replacement? At Livingston Roof Pros we offer new roof installation on your home at competitive pricing and exceptional service. We can install a new roof in Gregory to help protect your home from damages incurred by a roof leak. Our roofing experts have years of experience in both roof repairs and installation. If you’re unsure whether you need a new roof installed on your home or whether you just need roof repair done on your home’s roof we can handle that too. We are a full service roofing contractor that can replace or repair your roof. We also offer free roofing estimates so you know what the service costs before we begin the project. We realize that there are many different roofing contractors that you can choose to go with on your new roof in Gregory installation. But we are one of the top roofing contractors in this area for several reasons. We put our customers first on any project we do. We do everything we possibly can to make sure that you, as a customer, are completely satisfied with any of the services we offer. We also offer free roofing estimates so you’ll know what the project will cost before we begin, which is part of our no surprises guarantee. We’ll discuss with you the roofing options that are available on your home and also ways you may be able to get better roofing at a less expensive price. Our services are competitively priced and we’re always on top of customer service for you. I’ve outlined below some of the roofing options that you may be requesting with a new roof in Gregory Michigan. Our services are competitively priced and we’re always on top of customer service for you. I’ve outlined below some of the roofing options that you may be requesting with a new roof in Gregory Michigan. One of the most popular roofing materials in use today is asphalt shingle roofing. Asphalt shingle roofing has been around for many years and it’s still protecting homes for decades after being installed. In fact, the warranty on some asphalt shingles roofing can last as long as 50 years. Even for economical choice asphalt shingles known as 3 tab shingles the warranty can last as long as 20 years. Asphalt shingles are the number one type of roofing because it protects the home and it’s also an affordable roofing solution that looks great. Asphalt shingles also come in a variety of styles and colors which in combination can lead to hundreds of different choices for your home’s roof appearance. If you’re on a budget your home may qualify for re-roofing. When a home is re-roofed it can cut down on costs because there is less labor involved. There is also less required cleanup after the project is complete because much of the roof is left in place. When a home is re-roofed we’ll simply add another layer of asphalt shingles on top of your home’s roof. A home can only be re-roofed once because of weight issues but we’re about to inspect the roof and let you know if you qualify for re-roofing. 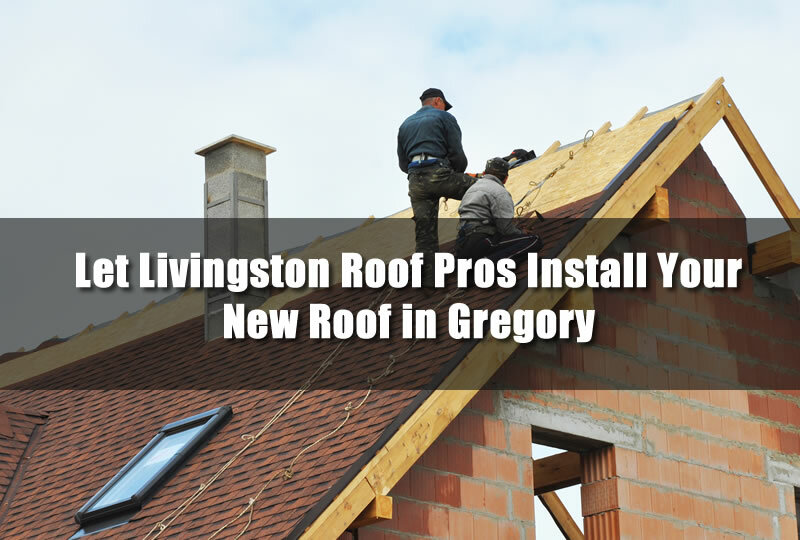 We do offer re-roofing here at Livingston Roof Pros for a new roof in Gregory Michigan. If you’re wanted a more thorough check of your roofing materials and roof decking we also offer complete tear off and replacement of the old roof. We’ll remove all the old roofing from your home and inspect the roof decking. Then we’ll install all the necessary roofing components for your home’s roof. Tear off and replacement is the best option because it offers advantages of the roof replacement that you won’t get with re-roofing. However, it is slightly more expensive. Get a Free Estimate on Your New Roof Today! If you’re ready to get started on your new roof install be sure to call us today to set up an appointment for a free estimate. We’ll send a qualified roofing expert to your home to talk with you about your roofing needs and give you a free estimate on roofing services.